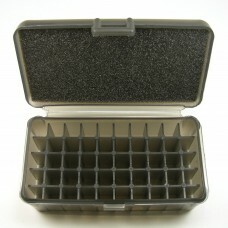 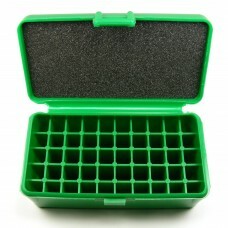 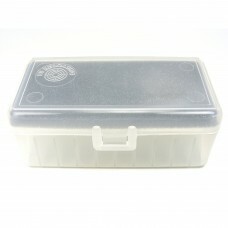 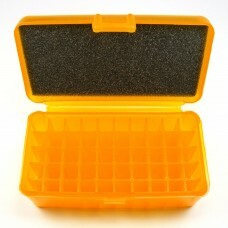 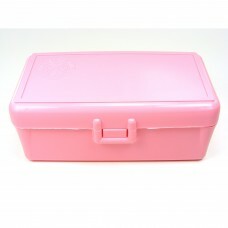 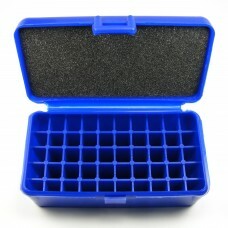 This empty FS Reloading brand plastic ammo box can store up to 50 rounds of .38-.357 Magnum and simi.. 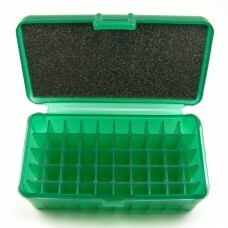 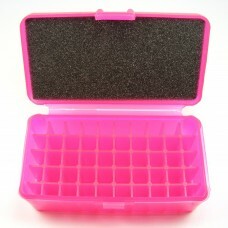 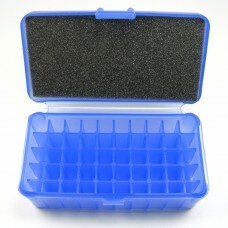 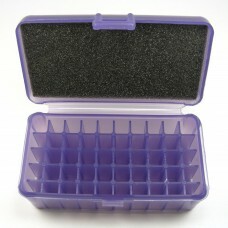 This empty FS Reloading brand plastic ammo box can store up to 50 rounds of .38-.357 Magnum and sim.. 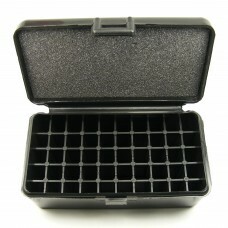 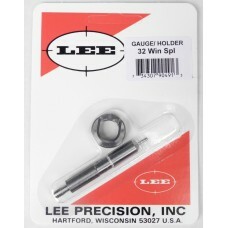 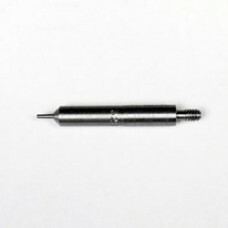 This empty FS Reloading brand plastic ammo box can store upto 50 rounds of .38-.357 Magnum and simil..